Yes, I was sucked into the "Twilight" saga. I read it in a very brief period of time. That, plus the strange void I seemed to enter after seeing "The Dark Knight" for the first time, seemed to equal a hefty hiatus from the film blog. But I am back now, and I want to write about something different. I know I write about teen movies a lot, but that's only because they seem to be experiencing a strange uplift in the entertainment industry. With the onslaught of "Gossip Girl," the reign of "Juno," the Apatific "Superbad," the unveiling of "Twilight," "Nick and Norah's Infinite Playlist," "Youth in Revolt," and all of Michael Cera's bumbling glory, the teenager has become an inescapable entity. And the term teenager no longer pertains to a simple collection of years during one's lifetime. It is now a state of mind, an homage to the endless versions of yesteryear, each perception different than the last and often overwhelmingly so. I wonder at this new obsession. Is it simply Hollywood's latest fad? We seem to have given up on the smart rom-com. That whole thing ended with "Love Actually" and will seemingly never resurface. The superhero movie is in the process of changing its complexion entirely. What was on ce an action-heavy color-fest is now a psychological dive into the world of alter-egos. The teen movie was abandoned in the early 2000s, at the back door of several loser flicks like "Drive Me Crazy" and "She's All That" and the bygone whimsy of "American Pie," "Ten Things I Hate About You," and "Get Over It." Between then and now, we've experienced the uprise of indie films, watched them disappear into the background, saw a craze in film franchises, and more Pixar than we could probably take. The great resurrector after all these years was probably "Superbad," mid-2007, which reminded us all exactly what it was to be in high school. "Juno" then solidified the trend in teen movies, proving that even the subject matter of a sixteen-year-old can be fodder for the Academy Awards. 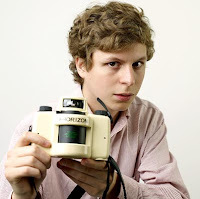 It also brought us Michael Cera, an actor who, alone, will probably pioneer an entire army of teen entertainment. With him, comes Kat Dennings, Anton Yelchin, Blake Lively, Jamie Bell, Jonah Hill, and Kristin Stewart. Not to mention those "High School Musical" kids. 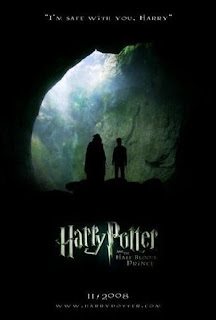 And this is all SANS the two most highly-anticipated movies of 2008, let alone the most highly-anticipated TEEN movies of 2008: "Harry Potter and the Half-Blood Prince" and "Twilight." Both based off of lucrative fiction for young people. Both starring handsome boys and vivacious girls, kissing scenes and grave situations, gunning in the genre of Fantasy. The culture of young people, not only teens, but early twenty-somethings as well, has taken on a mind of its own. The days of thirty-year-old boyband members are over. We now have Zack Efron. For the twenty-somethings, there's Robert Pattinson, and for the itty-bitty-tw een-base, Daniel Radcliffe. Among the girls, pop stars like Britney Spears who once ruled with pop-innocence, pop-dancing, pop-virginity, and TRL have been replaced by Disney creations like Hannah Montana, whose grasp has reached everything from school supplies to sold-out concerts. Young actresses are beginning to embody a new kind of gravitas. With all of this young person work out there, they're finally taken seriously. Not as child stars or 'younger- versions-of,' but as individual bodies of talent. I refer to Kristen Stewart, Emma Watson, Kat Dennings, and Ellen Page. Of course, there are more, but these are my favorites. They dress elegantly, speak with intelligence, stay out of the tabloids, and challenge themselves professionally. Their success leads to more roles for them to conquer, the more roles for them to conquer, the more success they incur, and so on and so on. More roles mean more movies, more television shows. The product? An influx of teen and young person oriented entertainment, and not just any entertainment, but QUALITY entertainment. Because these young people are being taken seriously, they take their careers seriously. This means that movies like "Superbad" and "Juno" are not the end of distinctive teen cinema. Okay, deep breath. The whole thing excites me. With "Twilight" comes the reincarnation of the evisceratingly handsome Robert Pattinson. In case you don't remember, he played Cedric Diggory in HP4, and now he's Edward Cullen the vampire that makes all human boys look like dandelion stems, and he's about to take over the world. OMG. Just wait. 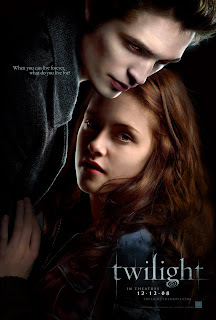 The draw, however, to the "Twilight" film, aside from the books' overwhelming popularity, is the quickly rising stardom of Kristen Stewart. Chances are, you've seen her in something, whether it be "The Messengers," "Into the Wild," "Panic Room," or "In the Land of Women." The film, directed by Catherine Hardwicke ("Thirteen" and "Lords of Dogtown") and written by Melissa Rosenberg (um, "Dexter") is bound to impress. Its hefty release date and future-franchise potential will surely brew the perfect amount of delirium. It will also, as I said earlier, launch Rob and Kristen into unbridled stardom. Plus, as the cul mination of two other teen-oriented fantasy movies to be released this fall ("The City of Ember" in October and "HP6" in November, both novel adaptations), "Twilight" will mark the exciting beginning (and climactic end) of three film franchises (hopefully) that all revolve around young people: 1) "The City of Ember," book 1 of the Ember Series, books about a post-apocalyptic world in which all light has seemingly gone out; 2) "Harry Potter," which will end in the double-magnificence of Hallows I and II, something the world has been anticipating for over a decade; and finally, 3) the "Twilight" saga, a franchise that will hopefully be completed with three more exciting movies to fully chronicle the desperate love and chilling plights of Bella Swan and Edward Cullen. Hi Tarah! I just started blogging and remembered that you have one as well. I love it! This entry about the new wave of teen films is fascinating, and I definitely see the scope shifting toward making teen films that are both entertaining and intelligent at the same time. Intelligent teen films are not limited to the indie ("Thirteen")sector, and I am certainly glad of that. Paul Dano and Emmy Rossum are on my list of faves, though I don't know if they count as "teen scene" actors due to the nature of their films. I must confess, I do like the new wave of Disney stars (sans the Jonas Brothers), which include Demi Lovato and Selena Gomez.